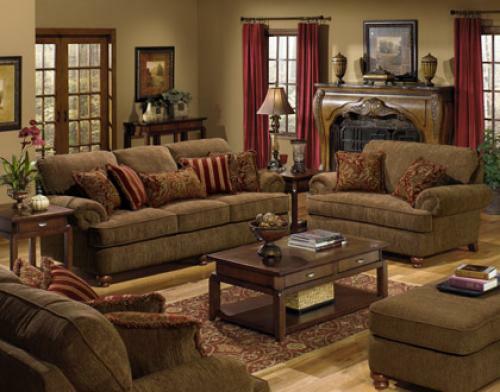 Your living room or family room will become the center of attention when you decorate it with the Belmont Living Room Group. 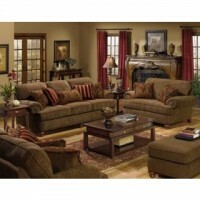 Relax and enjoy the luxurious textured diamond motif chenille fabric. Style and comfort combine in this traditionally designed group featuring deep seating comfort, decorative fringed pillows, solid wood accent legs and reversible box welted seat cushions.